Brr it’s cold in here! Don’t let the winter blues get to you this year and your skin! We all know that times get tough during the cold winters and can cause the skin to become dull, dry, itchy and flaky. Fight off the cold and combat these maladies with our very own skincare box that will bring a surge of moisture to quench your skin’s thirst. Embrace a newly renewed, supple and moisturized skin and say goodbye to that sad, dull and dry winter skin! A perfect addition to your winter skin care regimen, this concentrated serum contains a GF-Biopolymer which helps relieve your skin from dryness and discomfort. Enriched with licorice extract this serum has a brightening effect and evens out any skin redness caused by UV rays or skin troubles. Directions: Apply 2-3 drops to clean skin and massage into your skin in up and outward motions, pat gently for full absorption. 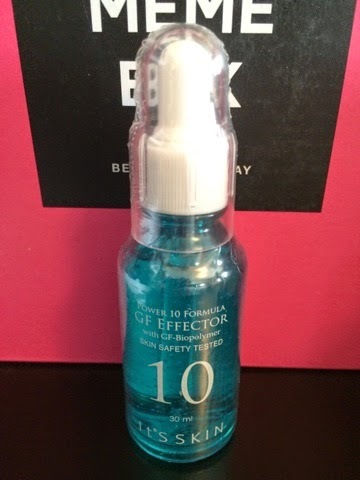 This serum is not only moisturizing but relives redness, including that from acne. Since my face has been breaking out lately I'm excited to use this to help relieve some of the irritated redness I've been experiencing. There are minimal risks for acne and irritation being caused by this product, you can check out the cosdna analysis here. This liquid emulsion has a lightweight, fresh gel texture which is absorbed by the skin like water. Contains ‘Murumuru’ seed butter- a legendary moisturizer among the indigenous peoples of the Brazilian Amazon. It is rich in vitamins A and C, and Omega fatty acids 3, 6, and 9. It is praised for having anti-viral, anti- inflammatory, and antibacterial properties. It is an excellent product for people with acne scars, eczema and psoriasis. This deeply moisturizing emulsion is readily absorbed by the deepest layers of the skin to restore elasticity. Directions: Apply on a clean face, after your toner. Dispense product as needed and massage onto face in up and outward directions. Pat gently after application for full absorption. Serum is a highly concentrated formula that penetrates deeply into the skin and locks in moisture and nutrients. This silky-soft serum is formulated with Amazonian Murumuru seed that helps calm, brighten, and maintain a balanced level of natural water-oil balance. With its unique blend of Murumuru Seed Butter, Cupuacu Butter, and Brazil Nut Seed Oil, this serum is made to smooth, nourish and build a lasting moisture barrier. Ideal for those with normal to dry skin. 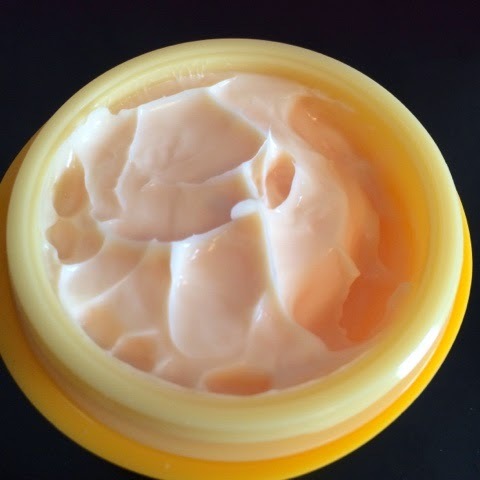 This is a deep moisturizer meant for normal and dry skin types - and I have oily skin. 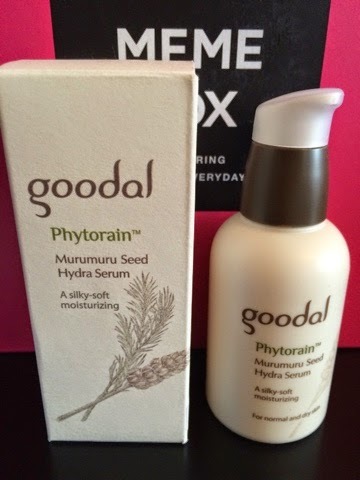 I was going to give this serum a try anyway, but alcohol is listed as an ingredient pretty high on the list, which usually breaks me out *huge sad face, right here* so I won't be able to try out this particular product (you can view the cosdna analysis here). Don’t let the cold weather ruin that pout, this lip balm can relieve the discomfort of those winter lips. 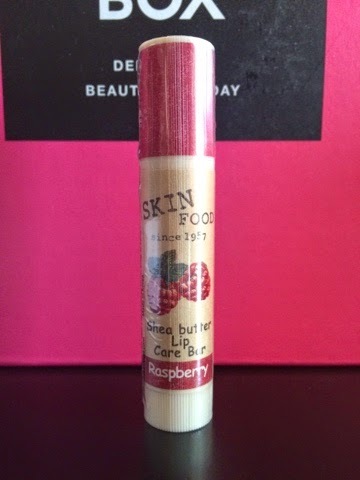 Formulated with shea butter, it will moisturize your lips and protect them from the harsh weather conditions. Directions: Apply liberally onto lips to revive chapped, dry lips. This is a pretty standard lip balm. It has joined it's comrades in the depths of my purse since I reach for lip balm several times a day. 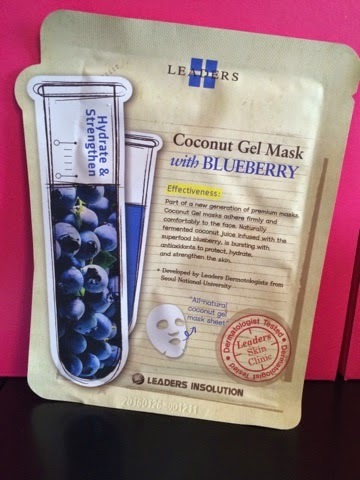 This mask is made of natural coconut jelly bio-cellulose material and is formulated with fermented coconut juice and blueberry extract. The mask perfectly adheres and fits comfortably on your skin to deliver natural soothing and hydrating properties. Formulated with blueberry extract that is rich in both essential fatty acids and antioxidants such as Anthocyanin, you can restore youthful resilience by promoting cell renewal with this user friendly sheet mask. Blueberry extract and coconut water work together to repair the skin’s moisture barrier, so locks the moisture in and keep the environmental irritants out. Directions: Remove mask from sachet. Place the mask on a clean and toned face. Leave on for 20-25 minutes, then dispose the mask sheet, and gently pat the remaining product into your skin. Leaders masks are a brand that I've come to enjoy through my journey with Memebox. They're always nice and soothing, the perfect thickness where they form perfectly to my face without being too thin that they dry out quickly, and they contain a nice amount of essence. This mask was very moisturizing but did not cause me to break out - which is a huge plus. I'd love to have a few more of these for days when my skin really is a tad dry. Hyaluronic acid: acts as a lubricating agent on the skin thereby making it an excellent pick me up for that winter skin. Hyaluronic acid is a humectant which forms a barrier on the skin to prevent moisture loss. Collagen: nourishes the skin and aids in restoring its elasticity. This cream also contains seaweed extract which acts as a humectant to hydrate dry skin. Directions: Apply as the last step of your skin regime, or apply before your sleeping pack. Apply in out and upward motions. Then gently pat your face for full absorption. 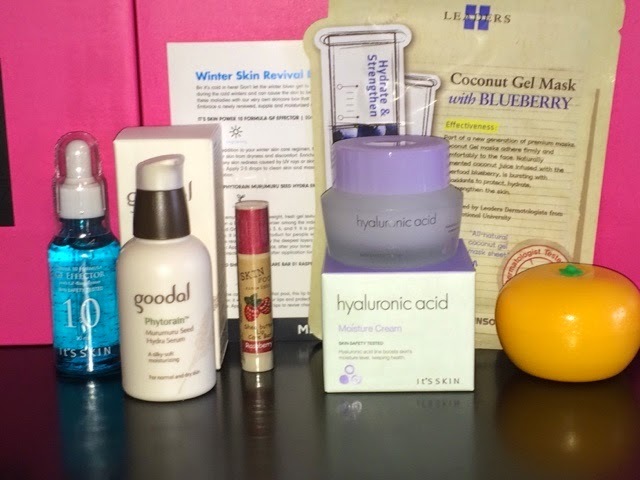 Out of the two possible choices for cream in this box, I had my hopes up for the hyaluronic acid cream. Apparently the Meme-Gods were tuned in that day, because that is just what I received! 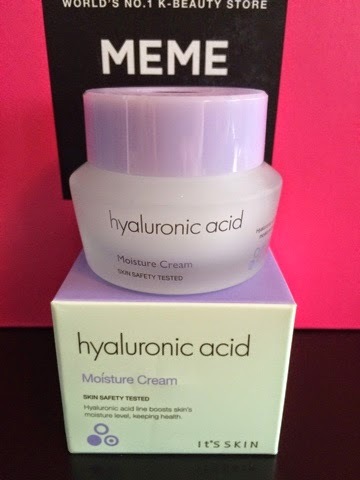 Hyaluraonic acid is often toted for being a dry skin moisturizer, but it actually provides good moisture for all skin types. 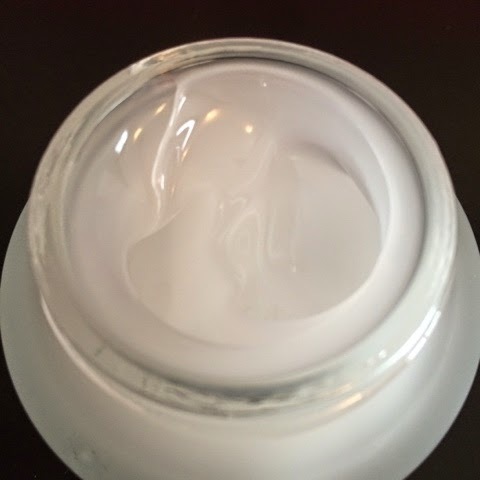 There are minimal low acne triggers and irritants in this cream, so I think it will be a nice last step for my evening skincare routine (you can check out the cosdna analysis here). A cutely packaged hand cream that helps moisturize those winter hands. Contains citrus fruit extracts high in Vitamin C to give your skin that extra push it needs to stay hydrated during cold weather. 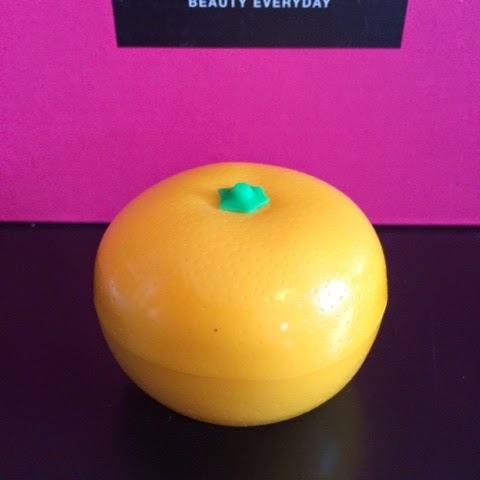 Leave your hands soft and supple, and with a hint of an tangy citrus smell! Directions: Apply generously on hands and massage into your skin. This is a super thick hand cream with the most powerful citrus scent I've ever encountered. And I'm not complaining - I love it! It's super thick, absorbing nicely, and providing lasting moisture to my dry hands. The smell is so uplifting, I can't get enough on slow days where I need a boost of energy. This is my favorite item from this box.